CAMP WHERE FRIENDLY PEOPLE MEET! Minutes from Bar Harbor & Acadia National Park you'll find a campground like no other. 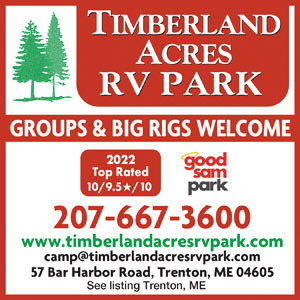 Large pull-thru sites, clean bathrooms, activities for all ages. Since 1985 our family has helped other families make life-long memories. The upper part of the campground is entirely seasonal (or longer) campers. The lower part is mostly for short term and has adequate space between sites and the site lengths are very good. We had trouble with electricity there (breaker tripped a number of times) but the owner fixed it right away after we called. It is an open field in the middle but for the cost, not bad. There are nicer places near Bar Harbor as this is a ways away but overall, the experience was nice staying there. The check in was easy and friendly. 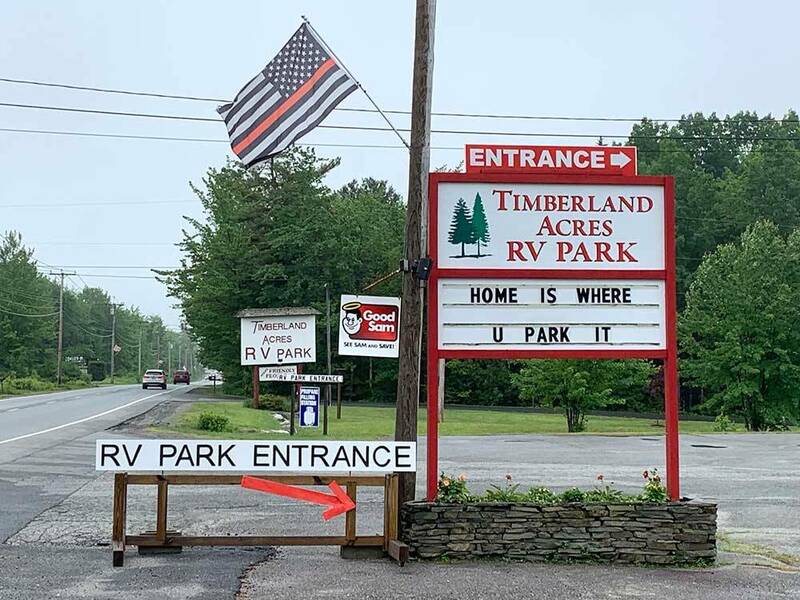 This is a large RV park with seasonal sites in a wooded area and nightly sites out in an open field. The pull through sites are very long so even the biggest rigs will have no problem. However, these sites are fairly close together so depending upon how your neighbor is positioned in his site you may “brush shoulders”. The people at the main check in are very nice and provide a terrific info packet for Acadia National Park and surrounding area. Everything was in good shape and clean including the restrooms. The driveways are asphalt with no potholes, however there are some seriously uneven areas that will have your RV rocking if you don’t go super slow. Site pads are gravel with a picnic table and fire ring. There was free WiFi but it was generally too slow to use. We paid $48 per night for a 50amp full hook up site with Good Sam discount. We had a great time at Timberland Acres over the July 4th weekend holiday. Friendly staff and clean facilities. We visit Timberland Acres several times a year. (Not as often as we would like.) A great place to stay! Clean. Lots of room. Some of the most friendly people we have ever met gather here. Unless you are staying In the upper part of the park, the rest is an open field. No views, no trees no nothing except for a barren lot. After a beautiful day in the national park, it would have been nice to come home to a nice campsite. There are many others closer to Bar Harbor with much nicer facilities!